Supreme Gums pays close attention to the quality control down to the last detail, from procurement of raw material to packaging and export. The company’s manufacturing unit is located in Jaipur, the capital city of India’s major guar production state Rajasthan. 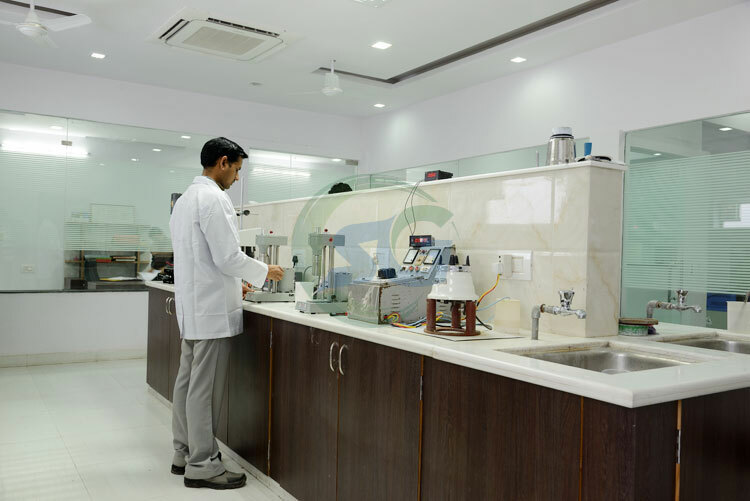 Supreme Gums runs a state-of-art laboratory for physical, chemical and microbiological testing under close supervision of qualified agriculture experts. Semi-automatic filling machines are used to package the final product in safe containers and multilayer paper bags as per the international regulations. Quality check is ensured for every batch of final product. Hygienic transportation of products from manufacturing units to the nearest ports. Safety sieves, magnets and metal detectors at various points in process and packing ensure the material is free of any foreign contamination. Phase 1 – Seeds from the guar plant’s pods. Phase 2 – De-Husked guar splits obtained from seeds. Phase 3 – Refined guar splits obtained from de-husked guar splits. 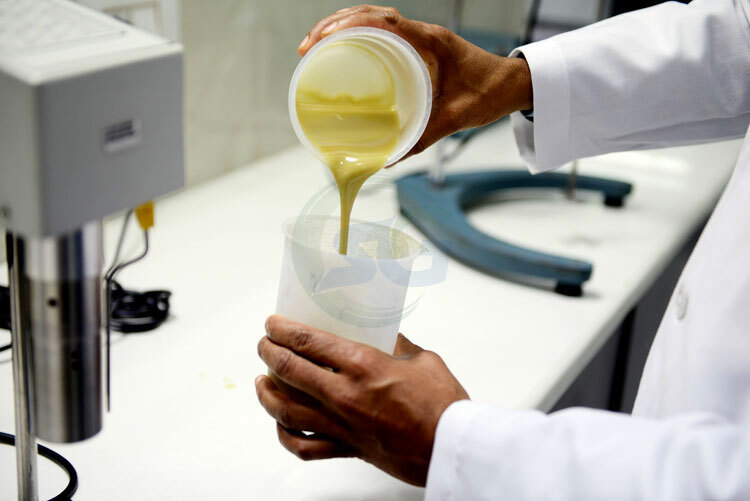 Phase 4 – Guar gum power processed from refined guar splits. 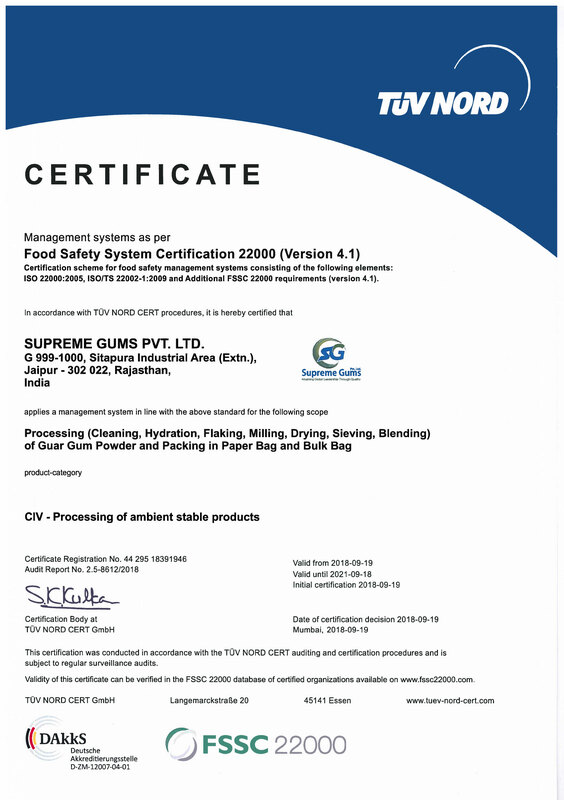 Supreme Gums manufactures specialized Fast Hydrating Guar Gum Powder for Oil and Gas Industry. It yields minimum 90% viscosity within the initial few minutes of hydration and very high ultimate viscosities. Other industries include Paper, Mining, Explosives, Cosmetics, and Construction etc. 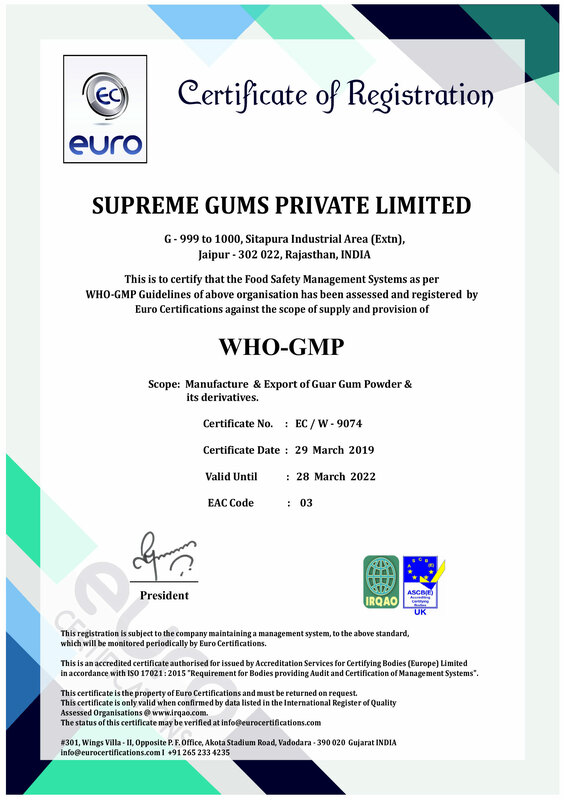 Supreme Gums is a major supplier of guar gum in the food sector. The company supplies guar gum for its use in ice-cream, dairy products, bakery, soups, gravies, noodles and many more. 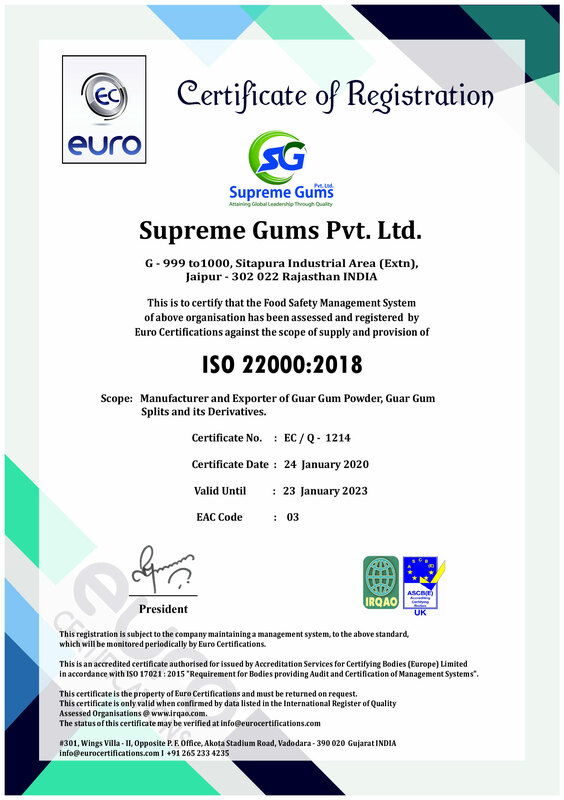 A leading global supplier of guar gum, Supreme Gums prides itself on a legacy of impeccable customer satisfaction record Over the past one decade, the India-based company has extended its global footprints by leaps and bounds. 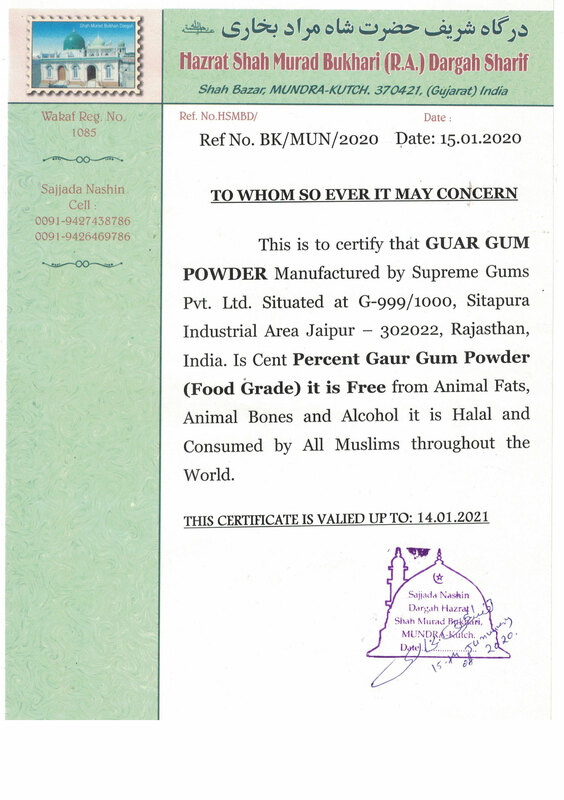 it is nowexporting guar gum to 45 countries in the world with an annual production of over 20000 MT. G-999/1000, Sitapura Indl. Area (Extn. ), jaipur, Rajasthan, India. Copyright © 2014, Supreme Gums Pvt. Ltd., All right reserved.